We believe teacher leadership is important because empowered educators can use their talents, passions, and interests to positively influence students, strengthen and transform the profession, and inform change at the school, district, state and even national levels. With this vision, the GCS Teacher Leader Academy was launched in the fall of 2016. Cohort members have explored who they are as people and what gifts and talents they bring as leaders. These innovative teachers have learned to use their voice to help solve problems, address challenges and best support colleagues and students in their schools and the school district. Some of their leadership projects have included leading and facilitating the district's Diversity Team, the district's STEM Team, and developing and implementing a plan for on-line book studies as a means of differentiating professional development. Others are leading at their individual schools with the development of school-wide positive behavior support programs, school-wide literacy projects which engage families, and developing integrated units of study to support cross-curricular connections. For others it has been finding a voice and developing the communication skills to advocate for equity, career and technical education, or personalized learning. 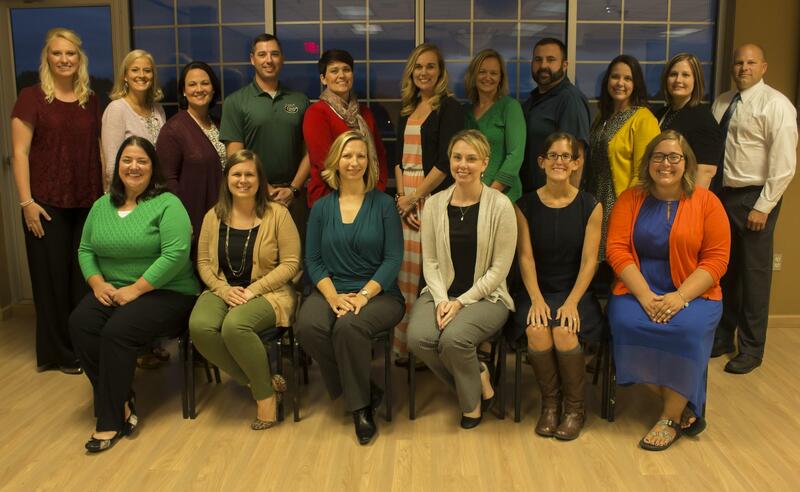 The GCS Teacher Leader Academy is an opportunity for educators to experience transformative learning, develop innovative action plans, and collaborate with leaders to develop their skills to lead at the school and district levels and beyond. Watch for upcoming information about the application process for the next GCS Teacher Leader Cohort.